I decided it was time to use some products that I've been overlooking a bit. Outside of Christmas, I don't usually use a lot of sparkly paper but the colours in the Glimmer Paper Assortment pack (available in the second release of Sale-A-Bration products - free with a purchase of $90) really caught my eye! 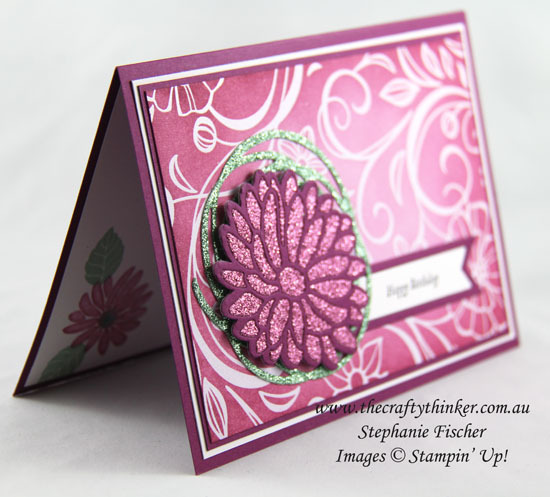 Here I've combined the Sweet Sugarplum Glimmer Paper with Rich Razzleberry cardstock to create the flower with the Stylish Stems Framelits. I had great fun piecing the petals together - I love puzzles! I cut the Swirly Scribbles Thinlit with the Mint Macaron glimmer Paper. One of the great things about the Irresistably Floral Specialty Designer Series Paper (apart from the beautiful designs!) is that the can be coloured to match any Stampin' Up cardstock. 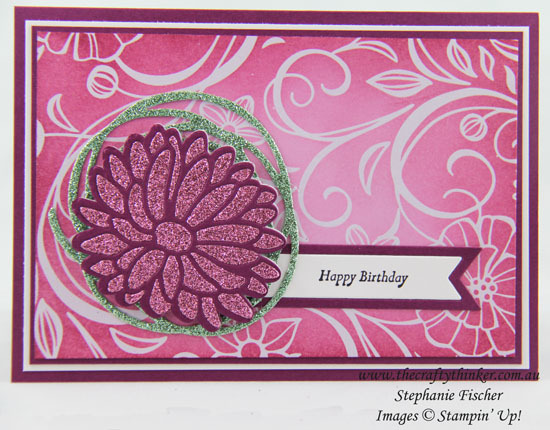 For this card, I sponged the paper with Sweet Sugarplum ink. The inside of the card is decorated with stamps from the matching Special Reason set. 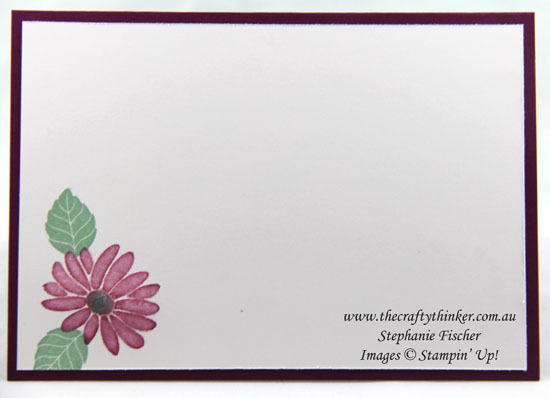 To soften the flower a little, after stamping with Sweet Sugarplum ink, I ran my aqua painter over the individual petals. I picked up a little Mint Macaron ink with the aqua painter to darken the centre of the flower.